Basic science sections provide clinicians with a vital introduction to the new language of science that will help them understand new and development treatment options. Clinical sections include: the latest advances in prenatal screening; a systems-based presentation of the diagnosis and management of fetal malformations; complete coverage of common and rare fetal conditions including growth restriction, endocrine and platelet disorders, early pregnancy loss, and twins/multiple pregnancy. Highly illustrated with over 500 ultrasound scans and line drawings. International team of expert contributors. 15. 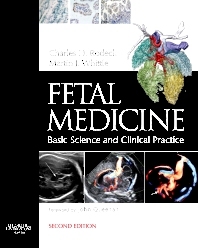 Epidemiological techniques in fetal medicine.